With one location already in Santa Monica on Main Street and another location in Palm Springs, little charmer Espresso Cielo is expanding into Downtown Santa Monica. Notices recently went up on the new space at 1431 C on 2nd Street announcing the imminent arrival. According to the window display, the coffee, tea, and patisserie shop will throw open its doors sometime this Fall. 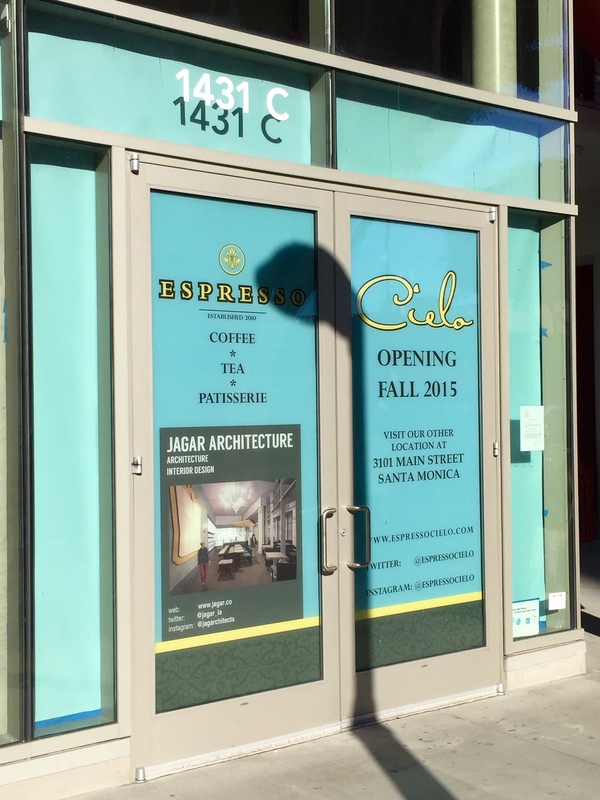 This entry was posted in News and tagged Downtown Santa Monica, Espresso Cielo, Main St. by toddrickallen. Bookmark the permalink.